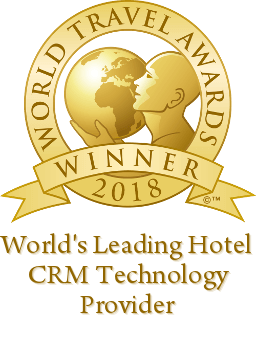 Boca Raton, Florida – September 11, 2018 – Cendyn, the leading provider of hotel CRM and hotel sales platforms in the hospitality industry, has been nominated for four World Travel Awards; World’s Leading Hotel CRM Technology Provider, World’s Leading Data Driven Marketing Agency, World’s Leading Hotel Sales Proposal Platform 2018 and World’s Leading Hotel Event Management Platform. The World Travel Awards recognizes companies, organizations, and brands that push the boundaries of industry excellence. This nomination follows Cendyn’s win of Leading Hotel CRM Technology Provider in Europe and Leading Data Driven Marketing Agency in Europe and Asia 2018. Cendyn’s CRM Suite caters to every hotelier from large brands to small boutique properties. Using multiple integrations, Cendyn consolidates multiple data points from disparate data transactions to engage with travelers throughout the guest journey. Business rules-based automation combined with dynamic personalization and upsell opportunities drive revenue through multiple channels and helps hotels acquire new customers. eInsight CRM provides enterprise marketing automation and guest intelligence for multi-property/multi-brand hotels and Cendyn’s Guestfolio CRM provides intuitive marketing automation and guest intelligence for boutique and independent hotels. Cendyn’s unique Data-Driven Digital Marketing Suite enables hoteliers to learn about and target their most valuable guests more than ever before. By targeting the right guests, at the right time, with the right message, hoteliers are able to cut through the noise of the crowded hospitality industry with personalized multi-channel campaigns that showcase and drive awareness of your brand. Cendyn’s eProposal software allows hoteliers to respond to RFPs in minutes and seize their first-responder advantage to dramatically increase group bookings. Cendyn’s award-winning eProposal is built to deliver personalized, media-rich RFP replies on a branded microsite. Real-time alerts of interactions with proposals also allow hotel sales reps to react immediately before their competition does. Cendyn is a cloud-based software and services provider that develops integrated technology platforms for driving sales and marketing performance in the travel and hospitality industry. The Cendyn Hospitality Cloud offers the most complete set of innovative software and services in the industry, covering hotel marketing, guest engagement, group sales, and event management. With offices in Boca Raton, Atlanta, Boston, San Diego, Toronto, Whistler, London, Munich, and Singapore, Cendyn proudly serves more than 30,000 clients in 143 countries with enterprise spend levels in excess of $1 billion. For more information on Cendyn, visit www.cendyn.com.